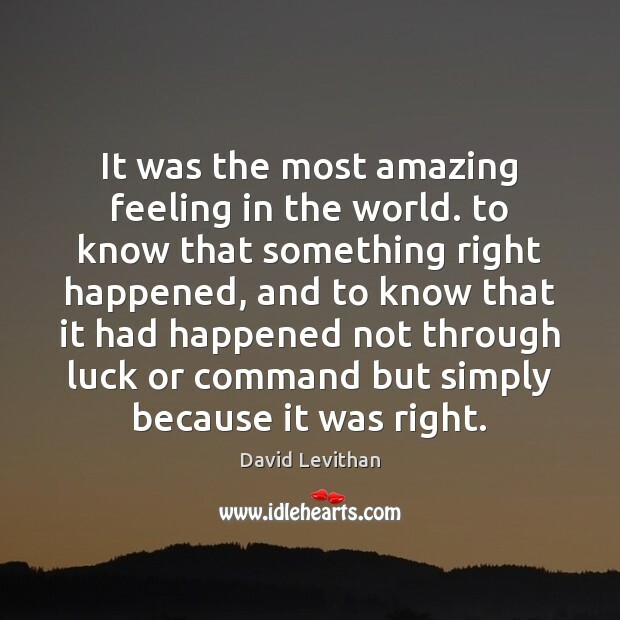 Quotations about Amazing Feeling. Quotes to stimulate mind and drive action! Use the words and quote images to feed your brain inspiring things daily! Winning is an amazing feeling. You dont get that in business; you dont get that in many things. The most amazing feeling I feel Words can't describe what I'm feeling for real Maybe I paint the sky blue My greatest creation was you. In climbing, a fundamental thing is to want to do something you've never done before. 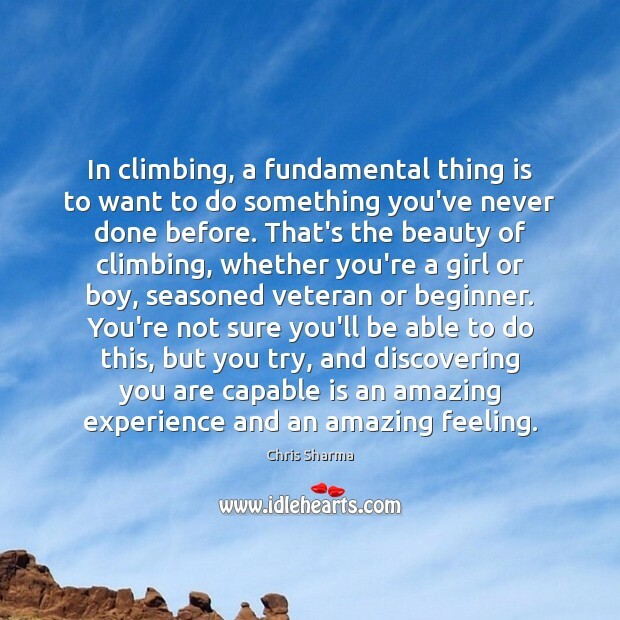 That's the beauty of climbing, whether you're a girl or boy, seasoned veteran or beginner. You're not sure you'll be able to do this, but you try, and discovering you are capable is an amazing experience and an amazing feeling. 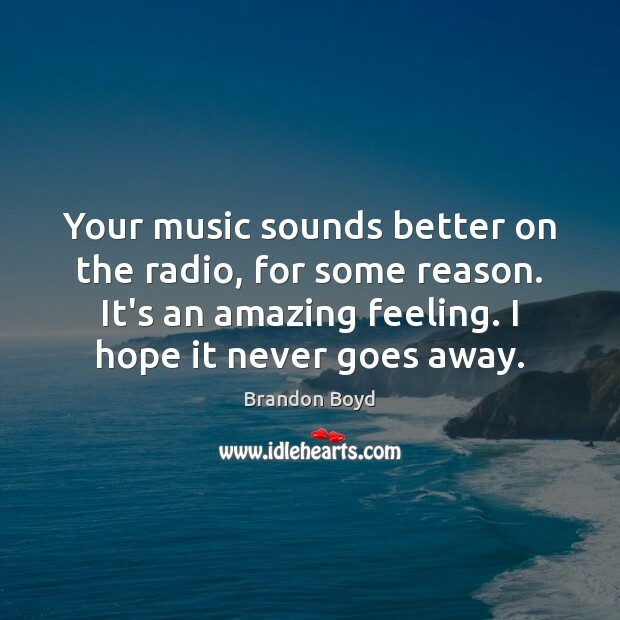 Your music sounds better on the radio, for some reason. 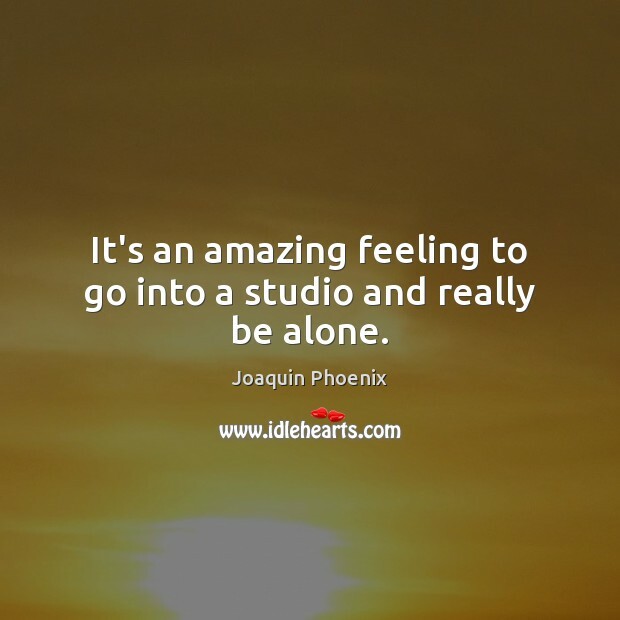 It's an amazing feeling. I hope it never goes away. When you have that first flash of what you think is going to be a great idea-from the mouth, from the hands-that's an amazing feeling. I don't think anything's quite as good as that. I sometimes have to look back and say, "Wow, this is amazing what has happened to me. I have been able to fulfill a lot of these dreams that I had when I was very young." 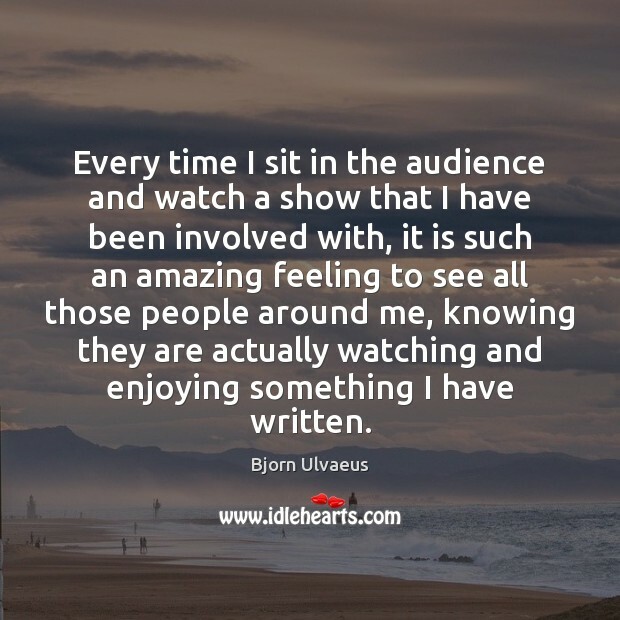 It's a pretty amazing feeling. But at the same time it becomes addictive! Katar," Raoden called. Yes, My Lord?" Do you know what it is? The secret, I mean?" Kahar smiled. "I havent't been hungry in days, my lord. It is the most amazing feeling in the world-I don't evern notice the pain anymore." Raoden nodded, and Kahar left. The man had come looking for a magical solution to his woes, but he had found an answer much more simple. Pain lost its power when other things became more importan. 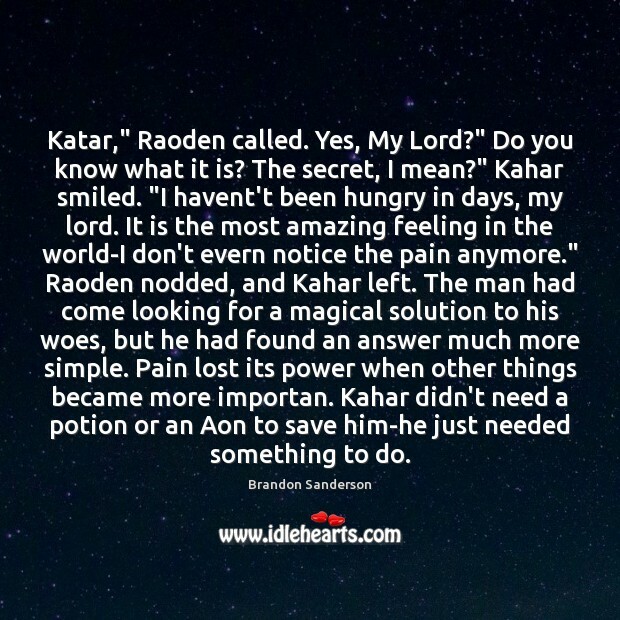 Kahar didn't need a potion or an Aon to save him-he just needed something to do. I just think it's super amazing that the U.K. fans are so dedicated and loving. I love them, and being with them in person is an amazing feeling. I love being on tour; I love being on the road. Its the most amazing feeling ever. I live for it; I love it. The view of earth is absolutely spectacular, and the feeling of looking back and seeing your planet as a planet is just an amazing feeling. 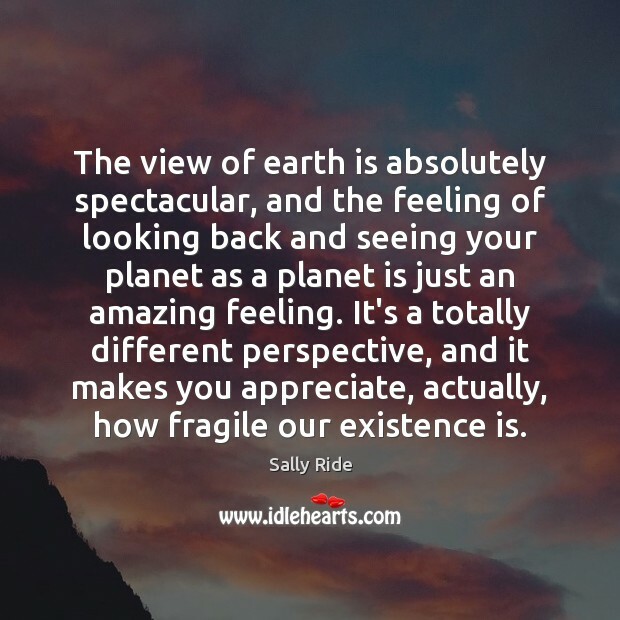 It's a totally different perspective, and it makes you appreciate, actually, how fragile our existence is.